The DUFF’s Mae Whitman Opens Up About The Child To Adult Actor Transition | Mae Whitman | Just Jared Jr. 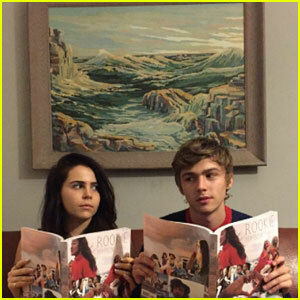 When you think of successful child turned adult actors, you most definitely think of Mae Whitman. You might remember her from Independence Day, or Hope Floats, or even as the voice of Tinker Bell — our favorite — then, and now, you know her from The DUFF, or Parenthood, or as that one girl in the Gilmore Girls revival who scores a free donut from Lorelai. “Growing up as a kid actor, I feel like it could really go either way. I can see how it could be such a horrible struggle. It’s tricky,” Mae dished in her interview at Build Series about the transition. Now, Mae has a new animated movie, Rock Dog (which opens on Friday), AND just got cast in NBC’s Good Girls. Vanessa Marano Celebrates 'Gilmore Girls' Premiere With Sister Laura! 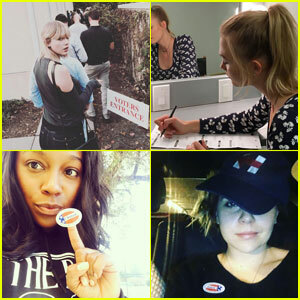 Taylor Swift & More Celebs Share Their Voting Selfies on Election Day 2016! 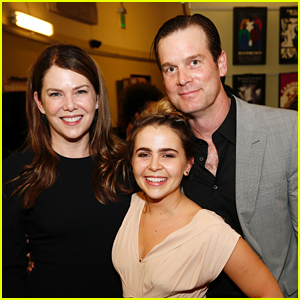 Mae Whitman Gets Support From 'Parenthood' Co-Stars at Play Opening! 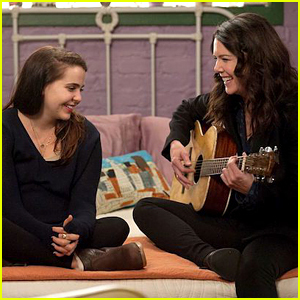 Mae Whitman is Reuniting With Lauren Graham to Adapt 'The Royal We' for Film!